The team was based in Düsseldorf (and early on was occasionally referred to in the U.S. as the Düsseldorf Fire), playing its games in LTU arena since 2005 season. Prior to this the team played in Rheinstadion until 2002 and in Arena AufSchalke from 2003 to 2004 in nearby city Gelsenkirchen while LTU arena was being built. The team shared facilities with the football (soccer) club Fortuna Düsseldorf. 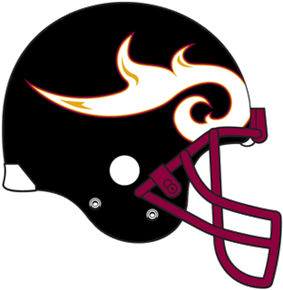 The Fire also hosted the 2005 World Bowl, where the Amsterdam Admirals upset the then-defending champion Berlin Thunder. The Fire had been one of NFL Europa's most successful teams as far as fan appeal and competitively on the field. The team is based in an area of Germany that does not have a local Bundesliga team and where American Football has become increasingly popular. The team itself has played for five World Bowl championships throughout its history, winning in 1998 (over the Frankfurt Galaxy) and 2000 (over the Scottish Claymores). Oliver Luck – General Manager 1995, became league president the following year. Ken Karcher – Assistant coach for the Fire, was previously an NFL replacement player and later became a collegiate head coach. ^ "Team Colors – NFLE". SSUR.org. Retrieved 2010-02-17.